Deborah Hayes, PhD, is currently a professor in the departments of pediatrics and physical medicine at the Colorado School of Medicine and chair, audiology, speech pathology and learning services at The Children’s Hospital in Denver, Colorado. 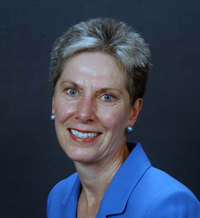 She has been a leader in audiology for more than 30 years and has published significant research work in a variety of topics with such illustrious co-authors as James Jerger, Marion Downs, and Jerry Northern. Her over 50 publications are standards for the profession. Her textbook with Northern, “Infant Hearing, is still one of the mainstays in pediatric audiology. Recently she obtained funding, organized, and directed an international consensus meeting on the identification and management of the child with an auditory neuropathy spectrum disorder. The resulting booklet from that meeting was circulated worldwide. Dr. Hayes has also played a major role in the development of our professional organizations. She is a fellow of ASHA and served as chair of the Committee on Infant Hearing during the time it issued some of its most important statements on identification and screening of newborns. Dr. Hayes has been a member and is a past president of the American Auditory Society. Her role in the American Academy of Audiology has been even greater. She served on the Foundation Board of Directors, the Academy Board of Directors and as president of the Academy (1997-1998). During her tenure as president she helped guide and implement changes in the government structure and legal status of the Academy. She was involved in a transition of the Academy from an organization run by volunteers to one run by professional management. She appointed the first Professional Practices Task Force, which led to the current credentialing program (ABA). She was also program chair for Academy's annual convention and exposition, AudiologyNOW! 1991, held in Denver. Dr. Hayes has been honored by the Colorado Speech-Language-Hearing Association and the Scottish Rite Foundation of Colorado. She was a visiting professor at the University of Queensland, Australia, and has been a contributor to programs presented by NINCDS.